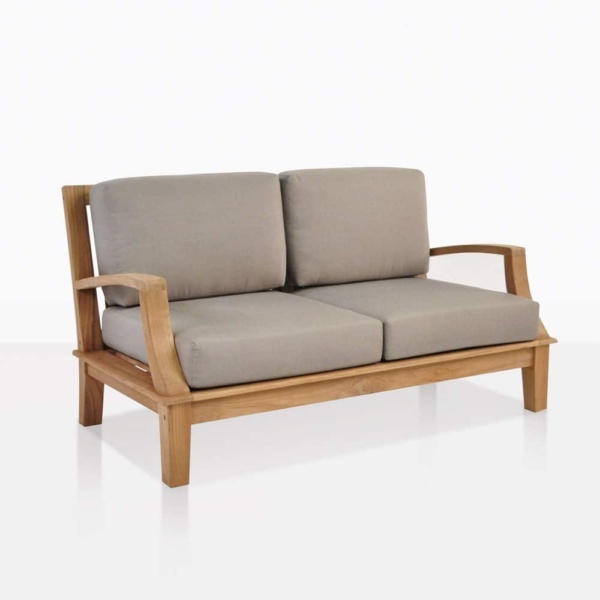 Create your very own Hampton Court at home with the Westminster Teak Loveseat! Featured in the Westminster Collection, it pays homage to the tradition of English garden furniture; with a beautiful, thick, heavy duty frame you will feel safe and secure in the pieces from this collection. 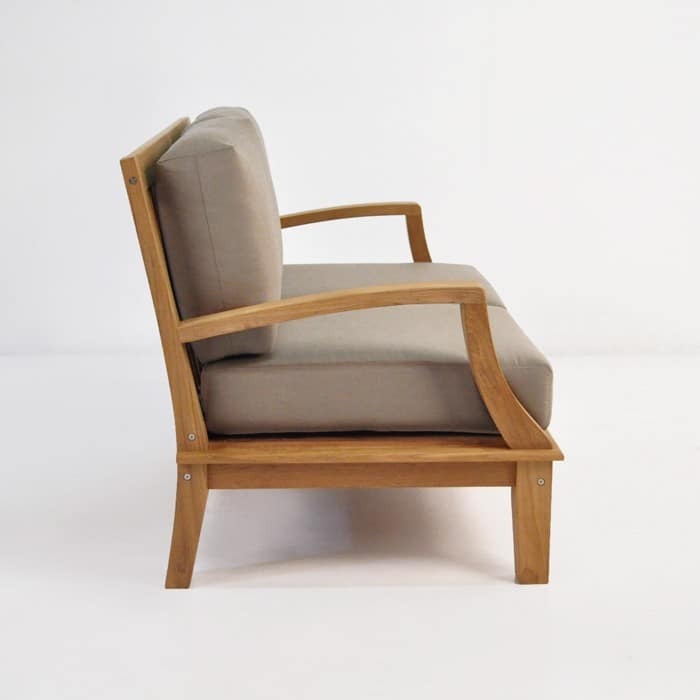 Like other pieces in the Westminster seating collection from Design Warehouse, the Loveseat also features a delicate curve in the arm, adding some subtle glamour and making the pieces even more comfortable. 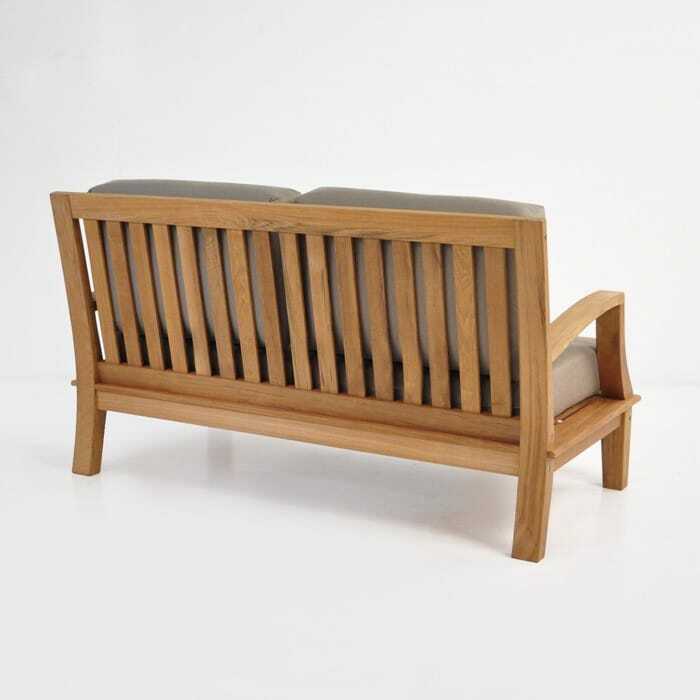 The Westminster 2-seater teak Loveseat is ideal for relaxing with a morning coffee and afternoon chats; place this piece facing the view and add a medium Nest Table on either side for that little spot of luxury. 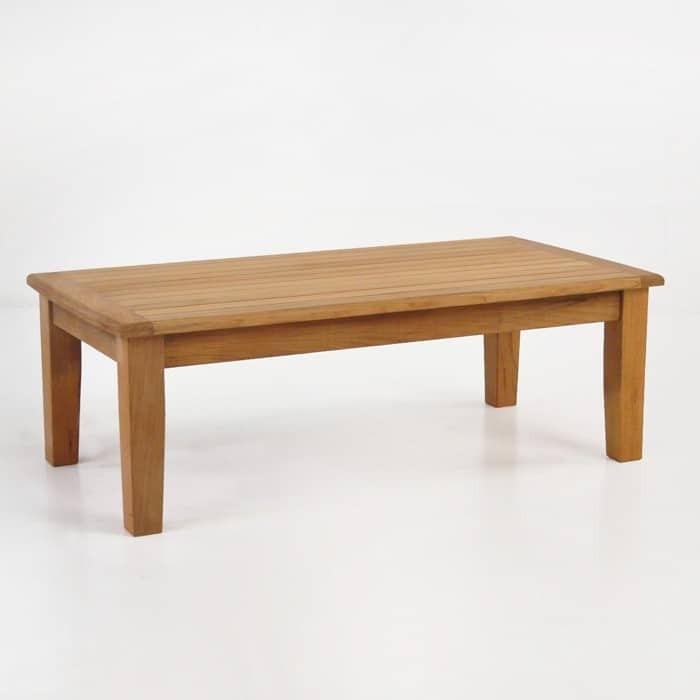 Make a communal area in your garden: centre your space with the Westminster Coffee Table, framed by two Westminster Loveseats and two Westminster Club Chairs… Now you are ready to entertain! 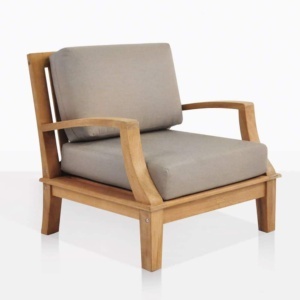 The Westminster Collection encompasses what Design Warehouse is best known for; great quality outdoor furniture. 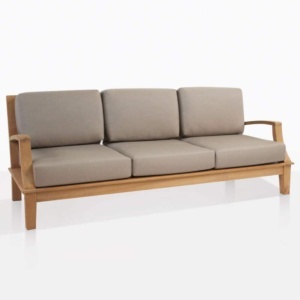 Constructed using Grade A Teak with epoxy glues and marine grade stainless steels, with the topping of Sunbrella® and Quick Dry foam cushions; you can trust you are getting an amazing product that will stand the test of time. Sunbrella® cushions are FREE and available in your choice of Taupe and Canvas! Colour shown is taupe.